MuzikMan's Reviews And News: Innovative Guitarist Jon Durant Releases Solo Guitar Album "Parting Is"
Innovative Guitarist Jon Durant Releases Solo Guitar Album "Parting Is"
Boston, MA - Following three acclaimed CDs with his group Burnt Belief, Jon Durant has returned with his first solo album since 2011's “Dance of the Shadow Planets.” Unlike his previous solo albums, however, “Parting Is” is a completely solo guitar album. A deeply emotional and personal record, “Parting Is” takes the idea of a solo guitar album and transforms it into a stunning sonic landscape of texture and color. Many of the sounds on the album bear no relationship with traditional guitar, but there are no synthesizers employed at all. 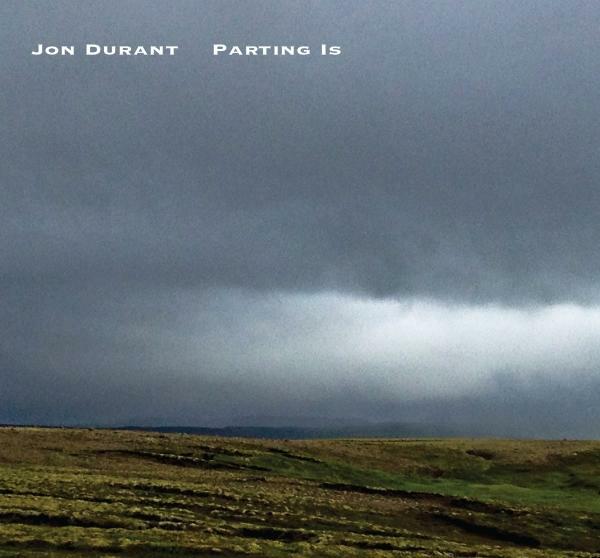 Everything is played by Jon Durant on guitars (with Durant also playing fretless bass on four pieces). About the music, Durant stated: “On most days, one of the first things I do is grab a cup of tea or coffee, and begin to experiment with my guitar. The music that comes out is not done with any intention of becoming a composition, or a recording, but is rather more of a meditation. However, a friend heard a brief recording of one such piece and asked why I didn't record more of them. When I began to do so, I felt a pattern was emerging that might be worth exploring. That track, “Open Window” also provides an opportunity to explore the unusual sound and textures that Durant creates. The primary guitar which began as a loop is an electric 12 string. From there, multiple electric 12 string parts were layered in a minimalistic way. The melodic guitar is a fretless electric guitar, and the low tones (which sound a bit like the old Moog Bass Pedals) are generated from the fretless guitar. Also, swirling around in the background are Jon's unique cloud guitar sounds, notes which hang in the air like clouds with no discernable beginnings or endings. Guitarist Jon Durant brings a unique sense of texture and melody to his instrument. His distinctive “cloud guitar” soundscapes and engaging lead work have graced numerous CD recordings and film soundtracks. As executive producer of Alchemy Records, he produces recordings for internationally acclaimed artists in his small home studio. Alongside Durant's six solo albums and three Burnt Belief records (with Colin Edwin of Porcupine Tree), Alchemy has also released albums by artists Michael Manring, Gary Willis, Leni Stern/Wayne Krantz and others.